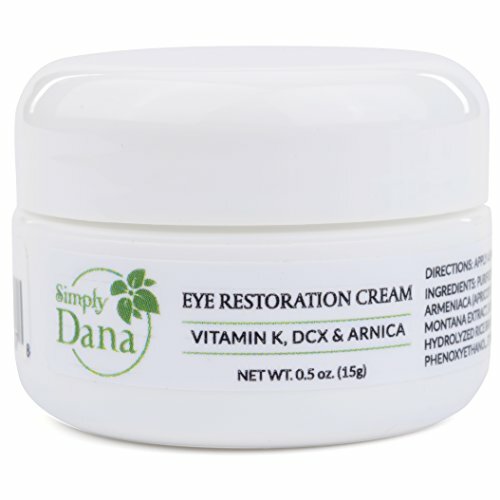 Simply Dana's Vitamin K, DCX and Arnica Eye Cream is a powerful mix of natural botanical extracts all specifically chosen to remove dark circles and restore a more vigorous appearance. This nourishing eye cream achieves incredible results by stimulating circulation and alleviating inflammation around the eyes. Its careful design ensures that it is safe to use near the delicate eye area, while providing the most noticeable and gratifying results. If you have any questions about this product by Simply Dana, contact us by completing and submitting the form below. If you are looking for a specif part number, please include it with your message.